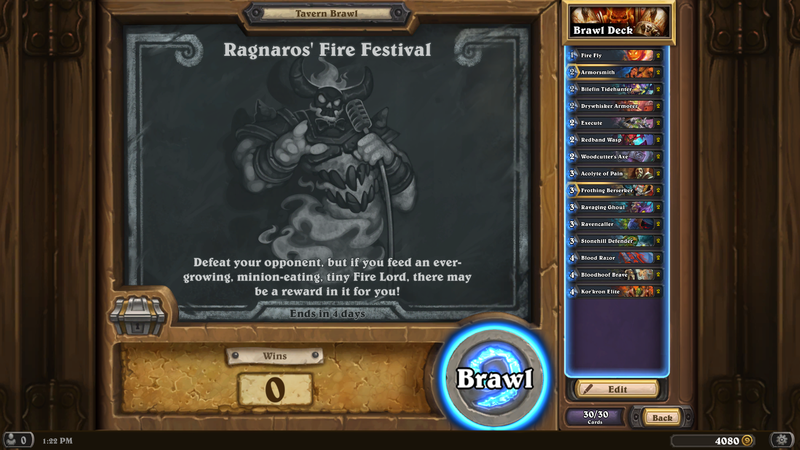 This week’s Tavern Brawl is one we have had before: Ragnaros’ Fire Festival. 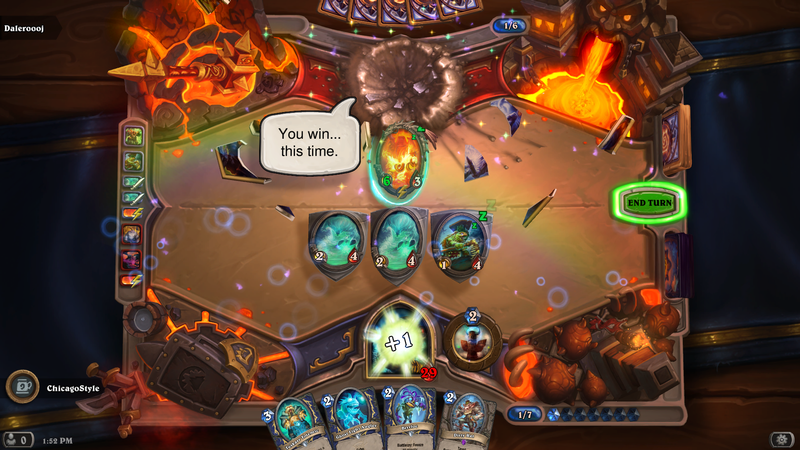 So little Rags starts out as a 2/3 minion that is invulnerable. Not sure if he is still prone to the “Mass Silence”, you can test that out. I was a little fuzzy on the mechanics, so I made a warrior deck. It was OK, but I lost. Shaman was my next pick, mostly minions, a couple spells, some heals. Worked out much better. 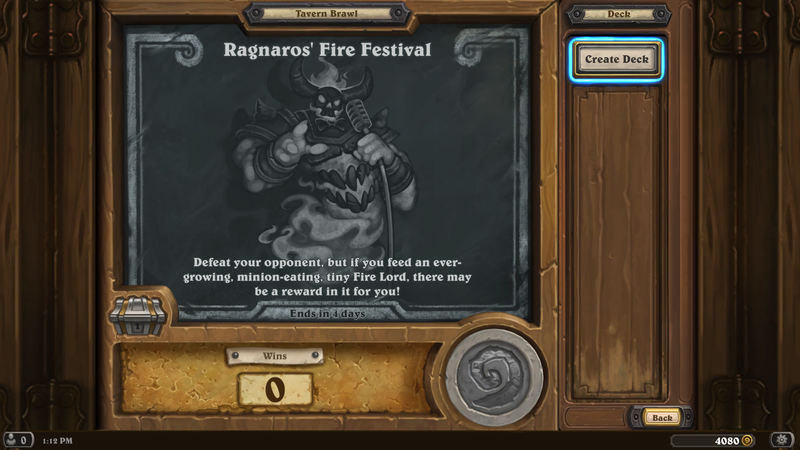 I still don’t know what the “prize” is for “feeding” Ragnaros. I’ll have to keep plugging away. So get in there and pick up your free deck. Have a blast, blast some minions! I will see you next week! 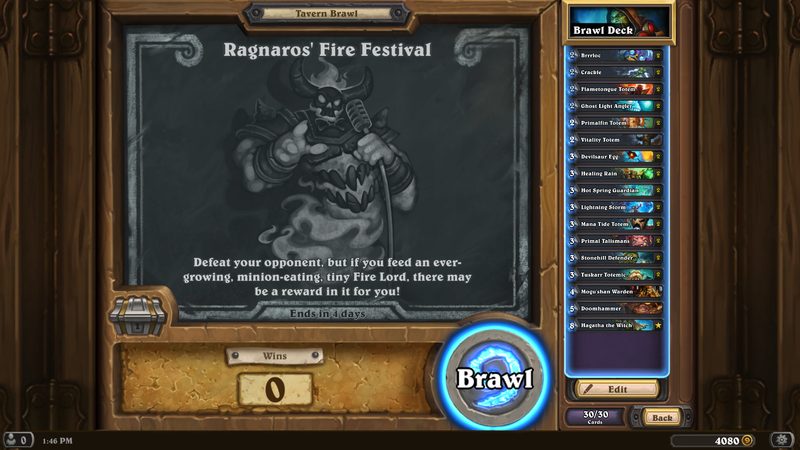 This entry was posted in Hearthstone and tagged Brawl of the week, Hearthstone, Ragnaros' Fire Festival, Tavern Brawl. Bookmark the permalink. Feeding Ragnaros gives you a bigger firework emote. Your feeding total is cumulative, includes feeds from last year and caps at 30. Awesome. Thanks for the info! I did notice the cumulative total; not sure what my “personal” best is. Thanks for the comment!